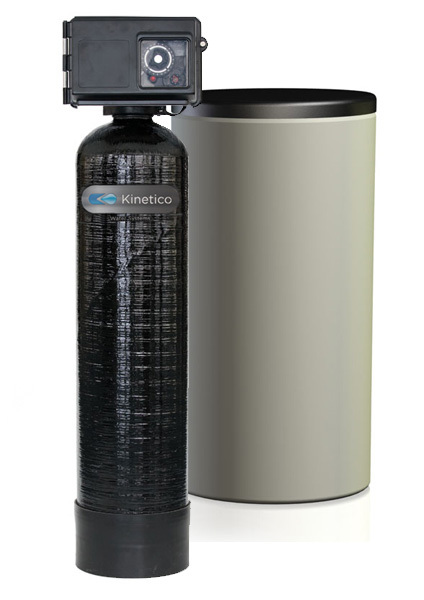 Powerline™ Series – Commonwealth Water Treatment, Inc.
Kinetico’s Powerline Systems are designed for high filtration applications. Available in single tank configurations, a Powerline System can be matched to specific application requirements. Powerline Series systems are tough on hard water and iron but easy on your budget. With a variety of models to choose from, they’re ideal for people with more predictable water use. How are the Powerline Series Water Filtration Systems different? • Lead-Free Brass Control Valve. Puts all operation and regeneration controls in a top mount valve. This configuration simplifies installation and system operation. • Corrosion-Resistant Valve and Tanks. Long lasting. Can endure harsh environments. • Adjustable Regeneration/Backwash Cycle. Allows for custom regeneration (backwash) sequence and time, setting up the ideal cycle for the site’s application. • Broad Product Range. Provides delivery flows from 15 to 180 gallons (56 to 681 liters) per minute. • Simplex Timer Systems. Use a basic operation control. Simply set the days to regenerate, and setup is complete.